Alyssa has had a love for math for as long as she can remember. She loves helping other students understand the concepts of math, and enjoys the satisfaction that a student gets when they begin to understand. Alyssa wishes to put her love for math and teaching others to good use and become a primary school, or high school math teacher. During her free time, Alyssa enjoys traveling to new states and countries so that she can experience new cultures and perspectives. She also enjoys practicing and learning new music on her saxophone. 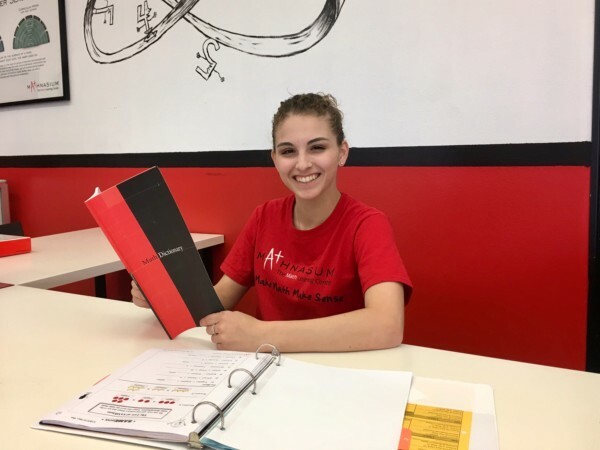 Alyssa is currently enrolled at California State University, San Marcos where she is working on getting her Bachelor’s degree in Mathematics. Christian is your friendly neighborhood instructor who has a passion for learning and helping others in any way possible. 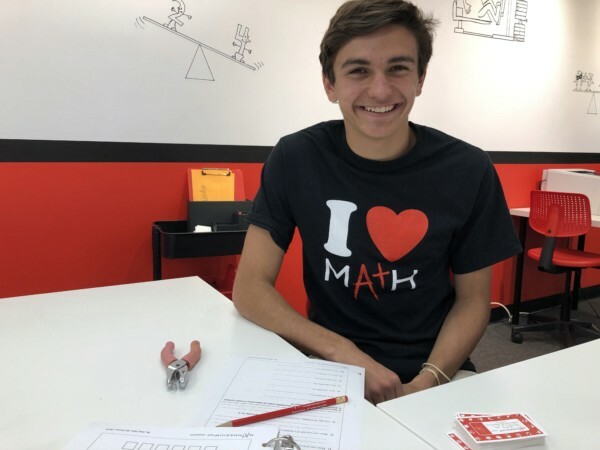 His love for math can be traced back all the way to his early middle school days when he was first introduced to the wonderful world of numbers. Aside from the fact that math is the universal language, he loves math because the subject always gives him a challenge to overcome. He has always loved Mathnasium and has been part of the Mathnasium family for over 2 years. Christian studies at the University of California, San Diego where he is pursuing a degree in Mathematics-Secondary Education with a Minor in Education Studies. He someday hopes to become an educator and help inspire kids to build confidence in their own skills. Outside of the math scene, you can find Christian with a pencil in hand, creating a new masterpiece or binging on TV shows and movies. Christian is always eager to help each student with tricky concepts and furthering their understanding of the math that they are working on in class. Derrell was born and raised in southern California in a small town called Redlands and is currently pursuing a bachelors degree in Aeronautical Engineering at San Diego State University. Derrell has a significant adoration and appreciation for the topic of mathematics as a translation tool for the world around him. When not in the Center, at school or studying, his hobbies include hiking, watching sports, and playing video games. Derrell's dream is to someday design aircraft capable of both space and aviation flight. 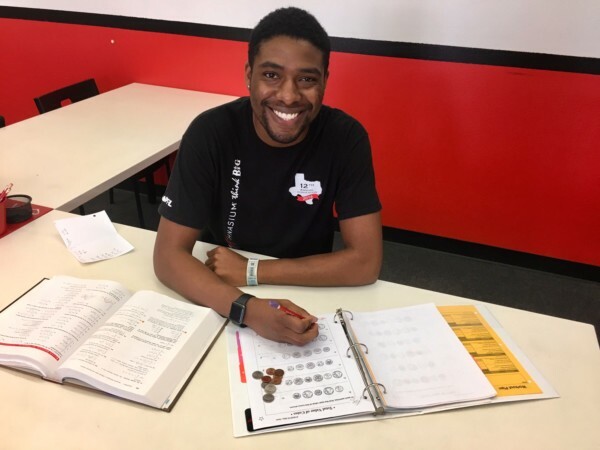 Until that time, Derrell enjoys sharing his mathematical knowledge, tips, and tricks with students at every level and Mathnasium is the ideal outlet for providing all of the tools necessary for student success. 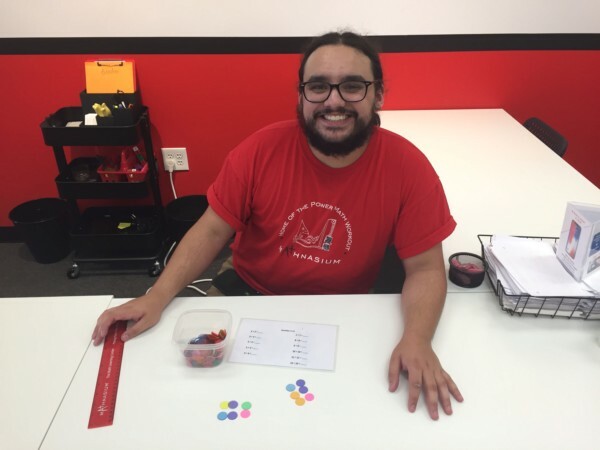 His goal is not only to instruct students, but to convince them that the topic of mathematics is a fun and fascinating subject worth exploring. Diorah is currently a student at San Diego State University working to earn her Elementary School Teaching credentials with a focus on mathematics. Last year Diorah was selected for the Dean's list for the College of Education and is a member of the Weber Honors College at San Diego State University. Her love of math is grounded in the real world; she sees the need for math all around her. She is passionate about shaping the minds of the future and is thrilled to be an instructor at Mathnasium where she can have a direct impact on students each day. Dylan goes to UCSD and is majoring in Data Science in hopes of specializing in Cognitive Science. Dylan lived in a daycare and has over 10 years of experience with kids. He considers himself a bit of a nerd who loves math and computers. Dylan likes to spend his free time outdoors pursuing activities like camping, hiking, and skiing as well as having a fondness for music, movies, and baking. He is excited to join the Mathnasium team! Emma knows first hand the power of a great teacher; her love of math blossomed with the guidance of a dedicated and inspiring algebra teacher. 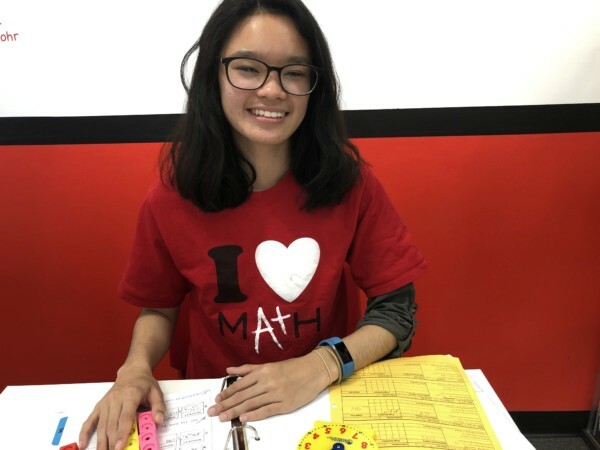 Emma enjoys helping others overcome their fears as they struggle with math, eventually turning math from something scary into something beautiful. 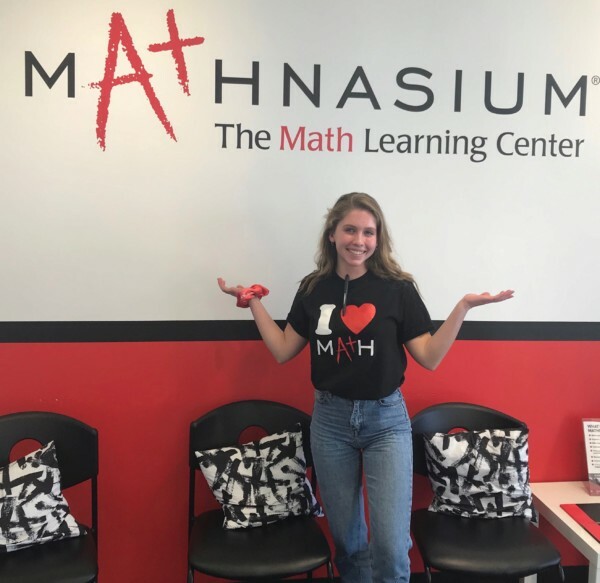 She has been part of the Mathnasium family since her junior year of high school and currently attends the University of California San Diego as a Mathematics-Secondary Education Major. She hopes to inspire young women to enter STEM careers. 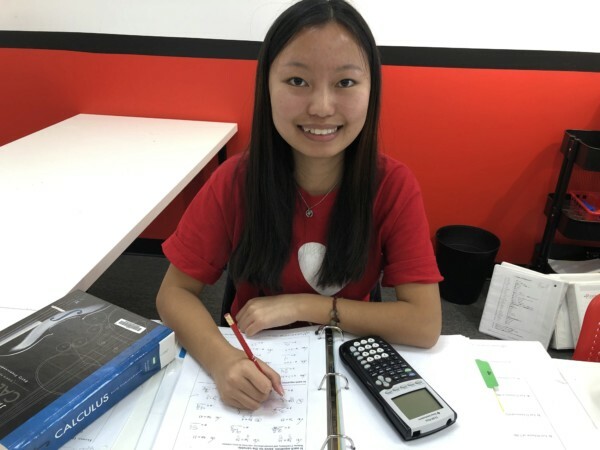 She aspires to earn a masters degree in liberal arts education and math in order to one day become an algebra/pre-calculus teacher for high school students. Emma enjoys singing, reading and getting a good workout as she is part of the Sixth College Student Council representing the voice of her peers. Her passion for making others smile and telling corny math jokes makes her a favorite member of the Mathnasium family. A San Diego native, Jesús headed to the frozen hinterlands of northern Indiana to earn his BA from the University of Notre Dame. Since graduating he has served with AmeriCorps teaching GED and ESL classes and worked at High Tech High International. 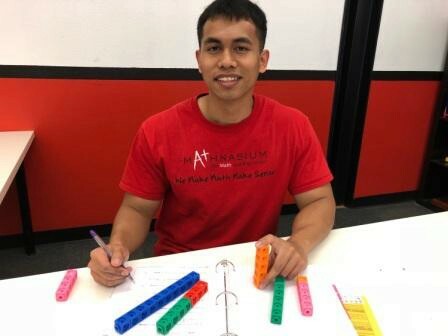 At Mathnasium he enjoys building students' confidence in math and finds it satisfying when students are able to explain their thought processes to him. Jesús hopes to attend graduate school in the near future and also reads in his spare time so that he might appear to know what he is talking about. Jing was born in Guangzhou, China, and raised in San Diego, CA. She hopes to pursue data science and finance after she graduates from Serra High School. She is very fond of children and has a passion for teaching and math. Throughout high school, she has tutored her peers in math - Mathnasium was a natural fit for her. Jing loves to engage in the happiness and the little light bulb that goes off of each student when they figure out the correct answer. When she has free time, you can find her soaking up sunshine at the golf course, getting her hands dirty with ceramics, or playing with her little brother. JJ has been in search of the secrets of math since first learning how to count. He has lived in Florida, California, Pennsylvania, and Maine. 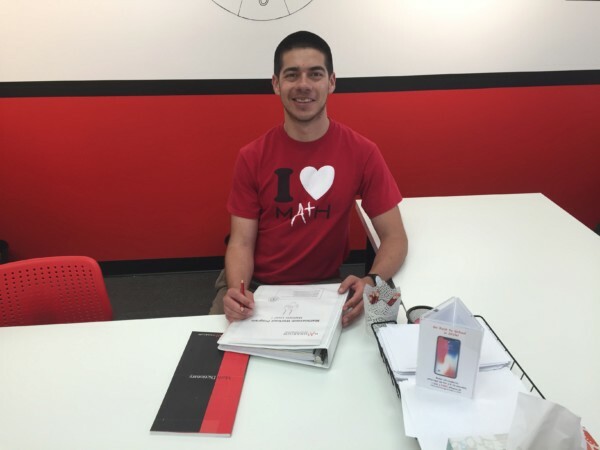 JJ received his Bachelors of Arts in Math and Bachelors of Science in Economics from Drexel University in Philadelphia, PA, where he first discovered his love of working with students. He believes that an understanding of math is fundamental to success in any and every academic and professional pursuit. Currently, JJ also serves as an Academic Coach with Thrive Public School’s Middle School. On weekends, you will see JJ exploring San Diego, baking cookies, and knitting hats and scarves for his friends and family in colder weather. Kelley is a math enthusiast who loves to engross herself in the world of math. Born and raised in San Diego, California, she currently attends Serra High School as a senior. She is striving to pursue a bachelor's degree in structural engineering at UCSD. She is happy to help anyone who needs assistance in their math studies. Helping her classmates and peers brings great pleasure in her day. Her goal at Mathnasium is to encourage children to build their math skills and apply them in their everyday life. In her free time, she enjoys knitting, sewing, and listening to music. She plays varsity tennis and badminton at her high school and is involved in various clubs including ceramics, Red Cross, and a drug prevention club called ELEVATED. Micheal is just a guy who enjoys exploring the relationships between various things whether it is people, bacteria or even better: numbers! From his elementary school days, to college at UCSD, to his current graduate studies in Bioinformatics, Michael uses the tools of math every day to better understand the world. His hobbies include exploring new places and reading; pretty much anything that can stimulate the imagination. In the future Micheal wants to use the combination of math, computer science and medicine to investigate diseases and to create new technologies. 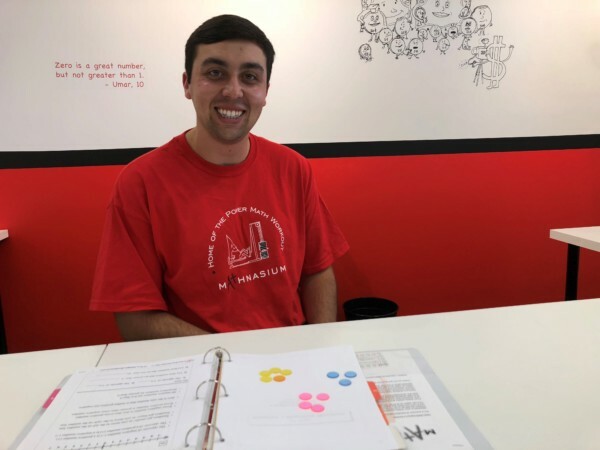 He sees teaching as a great honor and an even greater responsibility to pass on his understanding to others and believes that Mathnasium is the perfect place to do so! Morgan's love of math first started in the second grade when her teacher introduced her to all of the practical uses for math. Since then, she has been fascinated by all of the different ways math affects our lives. Her ultimate purpose at Mathnasium is to spread knowledge and understanding of math. She is currently a senior at Point Loma High School, and in her free time you can find her reading a good book (her favorite genre is historical fiction) or paddling her sprint canoe. Rebecca is originally from Georgia where she earned two graduate degrees in math education. However, she has happily called San Diego home for the past five years. 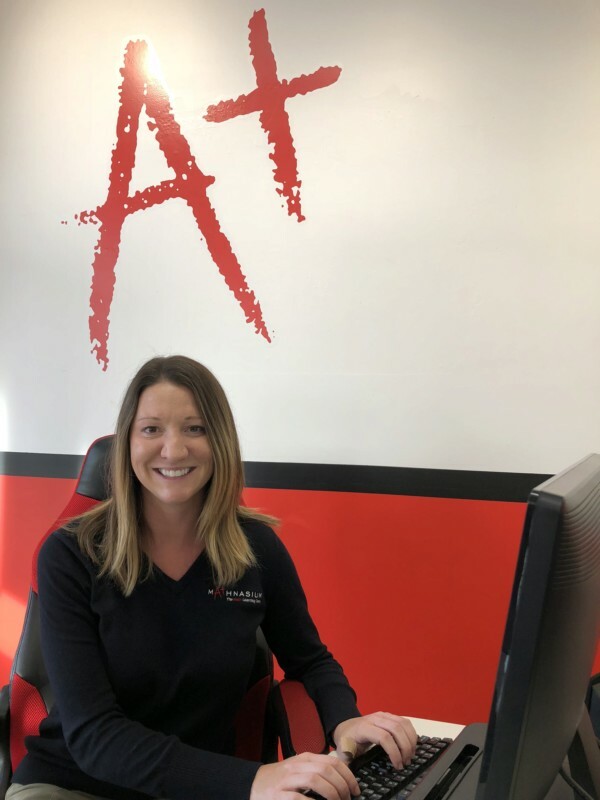 Rebecca's professional background includes five years of teaching middle and high school math as well as five years of experience in math education sales and curriculum training. Rebecca's love of math began at an early age when she would spend hours sitting on her grandfather's lap learning how to add, subtract, multiply, and divide. She's never lost her love of numbers and loves when students understand how math applies to everyday life. Rebecca is the proud mother of a golden retriever and enjoys traveling, being an aunt, and watching University of Georgia football. Sean grew up in Encinitas, California and recently graduated from Point Loma Nazarene University with a degree in psychology. 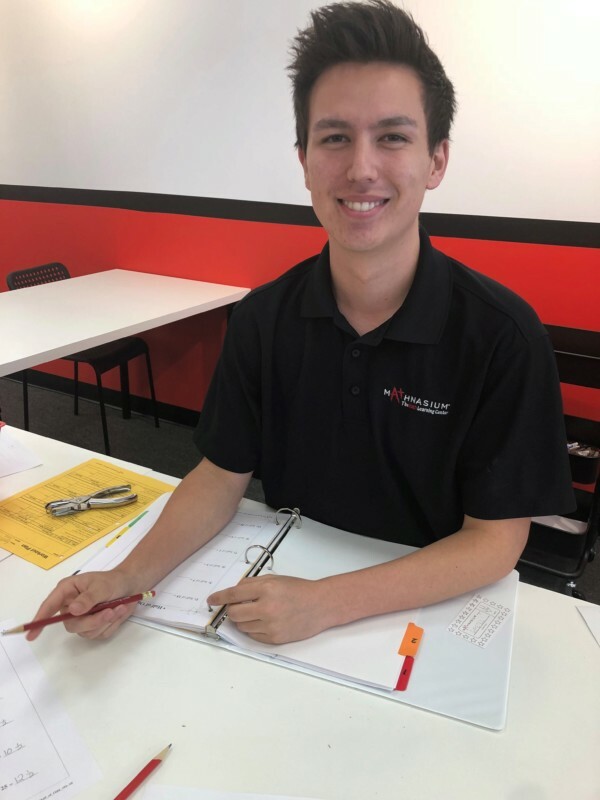 With an interest in education, Sean has always loved helping people in school and values the opportunity to help students work toward their goals. When he’s not around Mathnasium, Sean likes to spend time at the beach, reading good books, and watching sports. Sean’s future goal is to continue his education in psychology and will be applying to graduate programs in the near future. 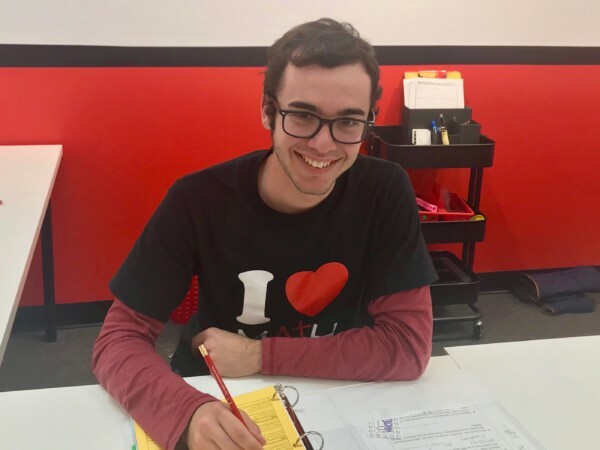 In the meantime, Sean loves meeting students where they are at in their current skill level and helping them to accomplish their goals at Mathnasium! Tetsuro is a Senior Year at Mission Bay High School. He is an accomplished math student, completing AP Calculus and currently taking an IB mathematics class. He loves math because it is a universal language and is used in virtually all of science, which is his passion. He is a leading member of his school’s Science Olympiad Club and Key Club, and is on the School’s beach volleyball and indoor volleyball teams. He hopes to attend a UC college in the near future and study biology and medicine. But most of all, he loves working with kids and helping other people learn and expand their knowledge of the world. Trey has always been more passionate about math than any other subject. He enjoys explaining math to anyone who will listen and has always been the first to volunteer when a peer needs help. Trey believes that the best feeling is when someone whom he assists begins to understand and succeed. Trey is currently a junior at Point Loma High School where he runs an SAT/ACT tutoring club. Outside of the classroom, Trey competes at hurdles and pole vaulting on his track and field team, volunteers around the city, and spends time with his friends. Trey currently has a plan to get a bachelor's degree in aerospace engineering in college, where he hopes to grow his math knowledge. 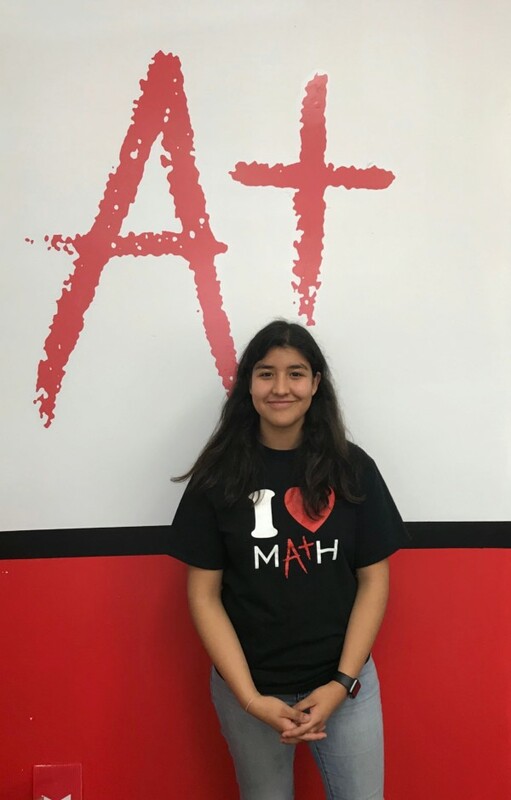 Valeria has always loved math because “it just makes sense, and it’s very precise.” She also enjoys helping others understand and love math as much as she does. Helping someone understand math is something that she really enjoys doing. Outside of Mathnasium, she plays water polo for her high school (Steele Canyon) and loves to swim in general. Another activity she really enjoys is watching movies and listening to music of every genre. She loves San Diego and hopes to stay local by going to UCSD for college.